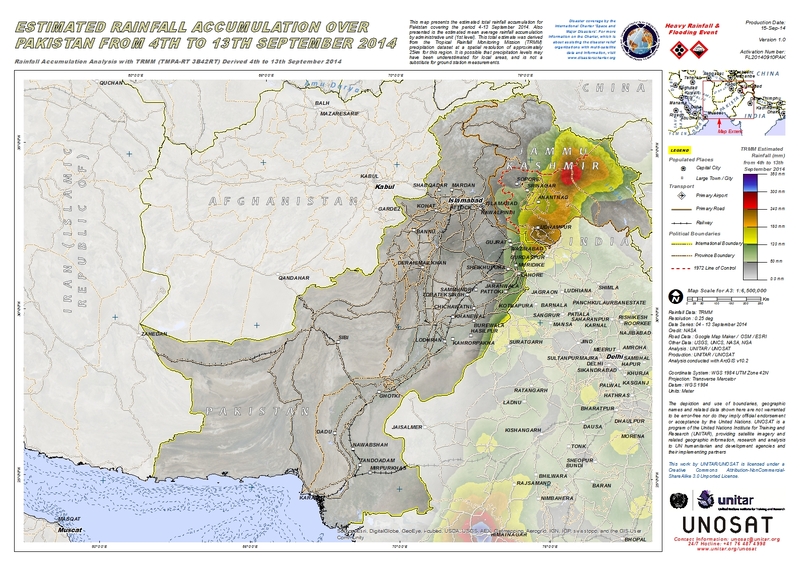 This map presents the estimated total rainfall accumulation for Pakistan covering the period 4-13 September 2014. Also presented is the estimated mean average rainfall accumulation by administrative unit (1st level). This total estimate was derived from the Tropical Rainfall Monitoring Mission (TRMM) precipitation dataset at a spatial resolution of approximately 25km for this region. It is possible that precipitation levels may have been underestimated for local areas, and is not a substitute for ground station measurements.